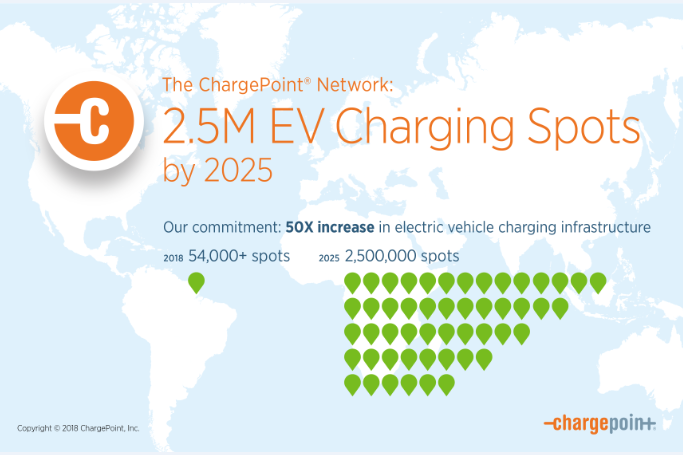 ChargePoint, one of the world leaders in charging infrastructure and technology, already has more than 50,000 places to charge on its network globally. Today they have committed to a major acceleration and will deliver 2.5 million places to charge by 2025. In addition to this, EVBox has committed to 1 million new chargers on the road by 2025 which will be a mix of fast and regular charging. This indicates not just growth for them as a business but confirms the confidence in the market that the growth of ZEVs is moving at the fastest speed yet. A survey from HSBC released Wednesday showed 61 percent of investors and 48 percent of issuers have an environment, social and governance (known as ESG) strategy in place. Why? It helps profit. Environmental concerns came in second as a motivator. [Founded in 1865, HSBC is one of the world’s largest banking and financial services organizations serving more than 38 million customers worldwide]. This entry was posted in Electric Vehicles, NewsBlog and tagged carbon neutrality, ChargePoint, EV events in Nebraska, EVBox, Global Climate Action Summit, Harrison Ford, HSBC, National Drive Electric Week - Lincoln, Nebraskans for Solar NewsBlog on September 14, 2018 by Helen Deffenbacher.